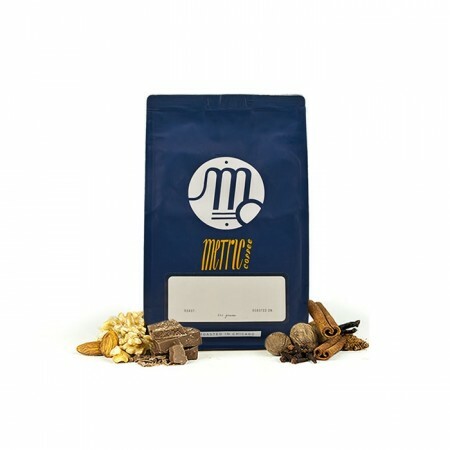 The Quantum Espresso was carefully roasted for you by Metric Coffee Co.. This is an espresso blend comprised of coffees from Honduras, Brazil, and Mexico. Pulled as espresso, this coffee is well structured and balanced with notes of dark chocolate and hazelnuts. Pretty good, but generally prefer other beans. Good stuff, wouldn't mind having again. Balanced, but left me wanting more. Somewhat bland. I have nothing bad to say about this coffee, it was very good, but nothing noteworthy. LOVED this one! Probably my favorite so far! One of the top coffees we have gotten, send more like this! Pretty darn good! Chocolatey and nutty and tasty. Delicious. My favorite so far. More of this please. Loved this. Easy to pull a great shot and tasted rich an amazing. Roast was probably a bit too light. Was nice to try a lighter roast with a different profile, like the citrus, but not my favorite. I couldn't dial this one in. I only got sour notes from it, and trying to increase shot temp or grind fineness or dosage yielded a sour AND bitter shot. I believe that it's all about the combo of your machine, your grinder, and the bean - some are simply not good matches for each other and this may have been a case of that. I have a Profitec Pro 500 (heat exchanger) and a Baratza Sette grinder, for reference. I'm trying to give this "coffee" no stars but apparently the ratings don't go that low. The worst "coffee" I've ever had. It was stale with no cream no flavor no anything! I don't think the roast date was correct! It is absolute garbage! Bold and complex. This is what I got out of bed for each morning. Well-balanced roast with a sweeter palate than most espressos. It brewed nicely in a french press too. I liked the Streetlevel slightly better. The color on the Quantum was a little lighter than my preference and I had trouble finding the perfect grind. It was in the right ballpark, though! Definitely not bad. A solid 3/5. Nice complex shots out of this one. The citrus was obvious as was the chocolate. The other fruits weren't as obvious. Well balanced, some citrus notes on the end. Not too fruity. Easy drinking. Good to rather good. Acidic without being "too much". Blown away by these beans, incredible shots. I rarely drink espresso straight but flavors were so unique I had to try. I was worried as I don't like dark roast or espresso, which is why I wondered why this was even sent to me. I thought the idea was to get me hook on what is sent so I continue my subscription. Anyway, it was decent. Citrusy. Darker roast than I normally like, but consistently made a lovely rich crema with a nice flavor. Prepared on a Breville BES870XL. Dark and bitter with no notable flavor. Similar to what you'd get at Starbucks. Maybe it's good as a base for cappucinos or lattes, but as a straight espresso, it's the worst one I've ever prepared. Delicious and mild yet not boring by any means. I liked the smell but the caffeine content was on the low side and I usually prefer my coffee to have more of a "pick me up." Enjoyed the fruity complex of this roast, paired well with cream. I like this one but I think I liked the sugar tooth seasonal blend a little more! Pretty solid espresso. I taste more nut than citrus. Quality beans and quality roasting. A lovely espresso roast. I preferred the coffee as either straight espresso, or with just a dab of steamed milk (2oz espresso with 1oz milk). Prepared in this method, the chocolate notes were prominent.. When prepared as a latte, the apricot notes were detectable.